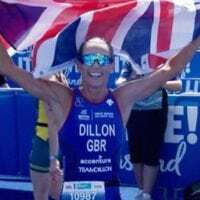 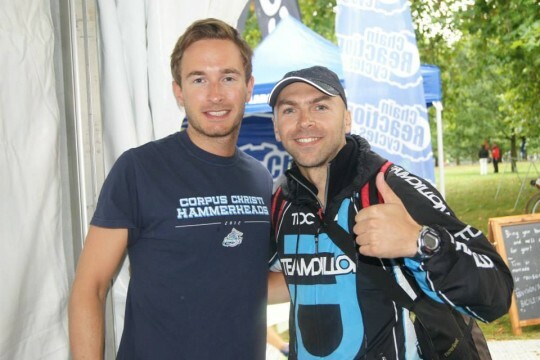 Team Dillon had their biggest ever team this year at the World Championships on home soil in London. 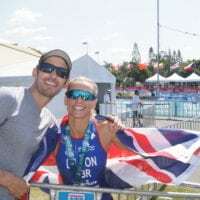 With the weather conditions being so cold and wet there were a few accidents which wasnt great, Emma Pallant in her first year and first World Triathlon Championships came off her bike only on the first lap. 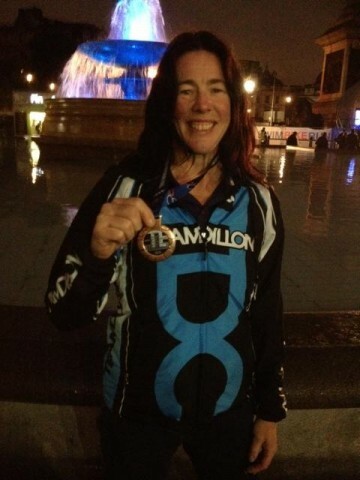 Michelle pulled her out of the race when she saw blood all over her face and legs. 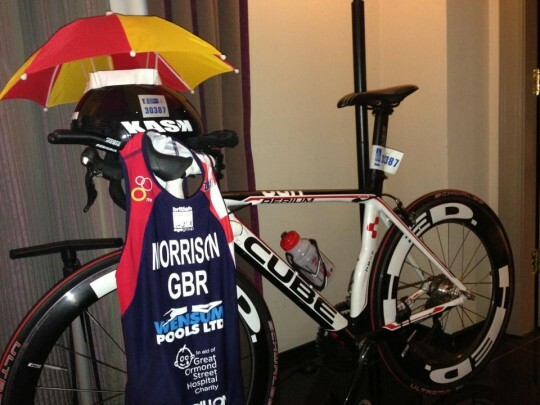 It was the right choice and although very disappointing at the time we know this girl will be bouncing back in the near future to show her potential in this sport! 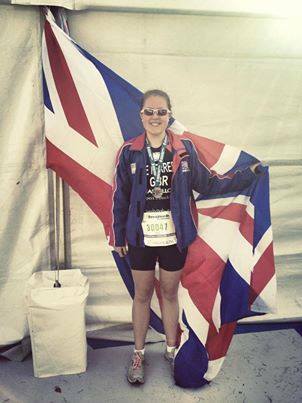 In the very same race we had fantastic performances by Sarah Kerswell 6th and Mary Anne Elkington who finished 13th! 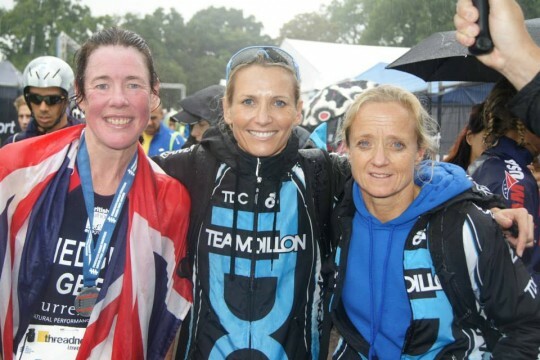 three women in the same race in the top 15 in the World, this makes TDC extremely proud! 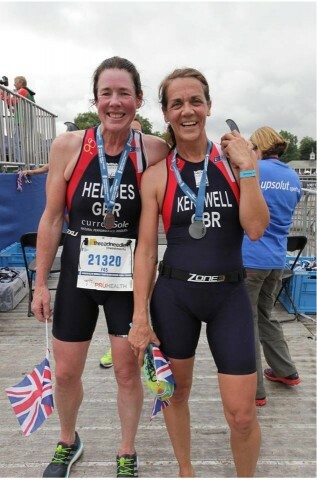 Sarah kerswell pictured below celebrating with Suz Hedges after their race. 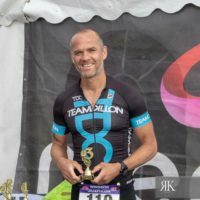 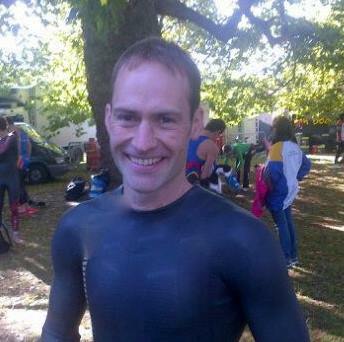 Paul James had an absolute storming race when he finished 8th in his age group, Marthe deferrer 11th in her AG Olympic distance event, Louise Croxson 15th in her AG Olympic distance race, Kim Clarke 17th in her AG Olympic distance event, Kim Morrison 23rd in her AG Olympic distance event, Kirsty Anderson 37th in her AG Olympic distance event, Ian Gilham’s 32nd in the Triathlon & 42nd placing in the Aquathlon, Celine Mcphillips 52nd in her AG olympic distance race, Matt Hallam’s 21st in the Aquathlon, Helen Crossley 35th in her AG in the Aquathlon, Bekky Britton 3rd place in the Open race, Toby Cole’s & Tom Wilson’s big PB’s in their races as well.